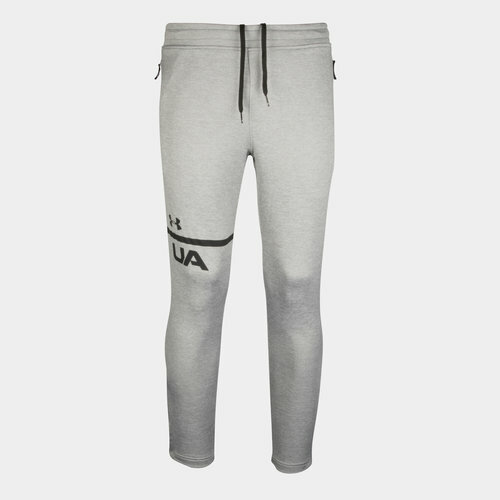 Perfect for wearing during training or just casually away from the action, pick yourself up a pair of Tech Terry Tapered Pants made by Under Armour. These mens track pants are made from a French Terry polyester, which bring warmth, comfort and lightness in equal measure. The tapered fit runs tighter towards the base of the pants which ensure comfort and style no matter which scenario you find yourself in. Secured by an elasticated waistband, two zip secured pockets, including an internal phone pocket in the right hand pocket, keeps your valuables safe. In a classic steel and black design, you too can pull on these Under Armour Tech Terry Tapered Pants.